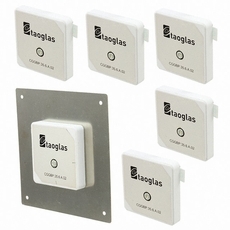 This 35mm square ceramic GPS/GLONASS/BEIDOU patch antenna�s wide band of operation leads to excellent gain and radiation pattern stability on all three GNSS system bands. Compared to using a smaller antenna, this will translate into the GNSS system having much higher location accuracy, improved reliability of lock in urban areas, better signal reception, with more satellites acquired and a quicker time to first fix. The patch is mounted via pin and double-sided adhesive.